One way to gauge whether something is over-priced is to look at other, similar products and see how much they are sold for. This is not an accurate way to judge the “actual” value of something, but it gives you an idea how the market looks if you’re shopping for some game development tools. In this article, I take a look at a selection of 2D game engines that can be used to develop 2D RPG. I will not consider game programming libraries. The criteria I am interested in is based on the pricing models along with one feature that MV brings to the table: multi-platform export. RPG Maker MV can be purchased for US$80. This comes with the ability to export to Windows, Mac, Android, iOS, and HTML. They do have a free license, but you cannot develop commercial games. The free license also comes with a number of limitations on your project. For $165, you can get a personal license, which already comes with a lot of features. Among other things, you can publish to Windows and HTML5. However, they have a $5000 total revenue limitation for personal licenses, so if you are making more than $5000 you’ll need to buy their $540 business license. But really, if you’re already making $5000+ paying for a license probably isn’t a big deal. 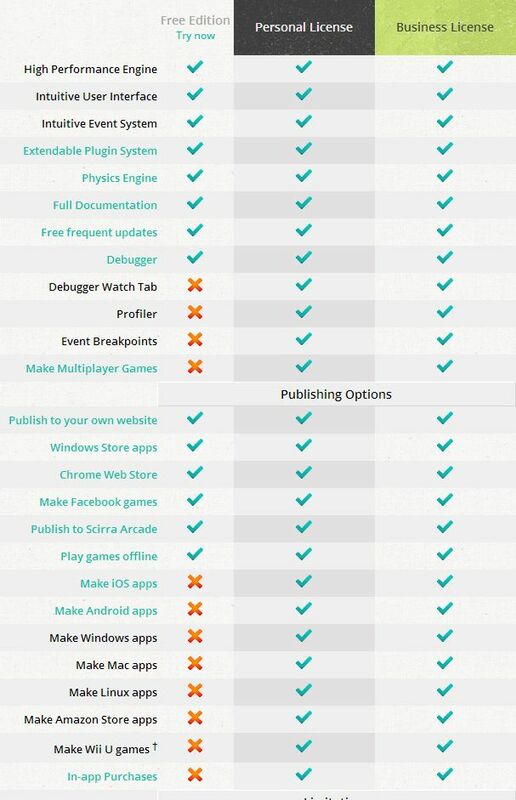 We can see that Game Maker offers a free license which allows you to build Windows games. So if that’s all you need…well, it’s free. If you need more than that, the pro license starts at $150 and offers basic Windows, Windows App, Mac, and Linux export. 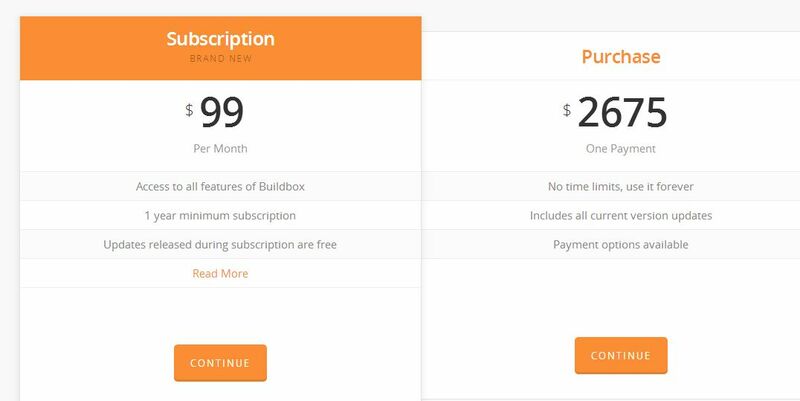 If you want to publish to other platforms, you’ll have to pay additional fees: $200 for web, and $300 for each mobile platform. While Unity 3D is known for developing 3D games, it also has a lot of support for 2D games. 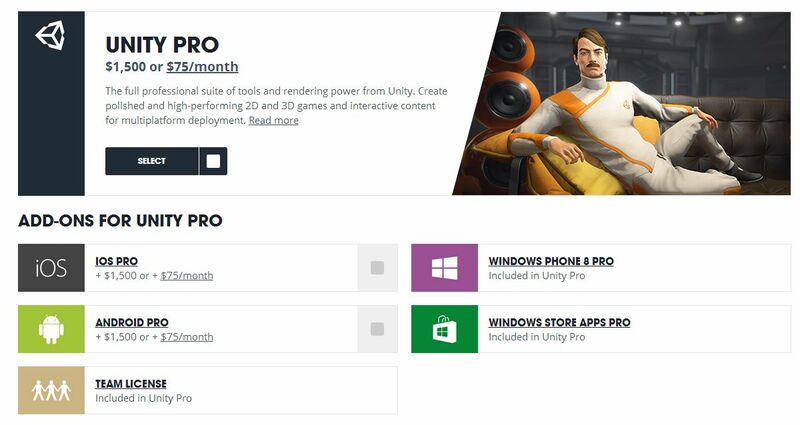 Unity is basically free if you’re making less than $100 000 a year. You have to include their splash screen, but that’s a pretty small price to pay for being able to export to all platforms for free. There’s more things down here, but unless you’re making $100 000 it is not that important. And if you’re making $100 000, you can probably afford to pay those licenses. Another popular game engine. It is also free. You pay 5% in royalties after the first $3000 per calendar quarter. This is another game engine that is popular for creating 2D games. I am having a hard time figuring out how to navigate their website, but it looks like you’re paying $99 for the “basic” engine and $399 for a “developer” edition. Not sure what that means. I haven’t taken a look at this, but here are the prices. You have a number of alternatives to RPG Maker MV if you’re looking for a suitable game engine that allows you to build games without having to worry too much about programming and being able to export to multiple platforms. With the exception of Unity and Unreal, a lot of the other 2D game engines aren’t that much cheaper either compared to MV. They may or may not be easier to use, and may or may not come with all of the features that you need to fully meet all of your requirements, but we can see that the market for game engines can be fairly expensive. If you have what it takes to build your game in Unity or Unreal (or any other engine that you can use for free), then by all means go for it. Otherwise, it would be difficult to argue that RPG Maker MV is over-priced when some of the popular alternatives aren’t that much different. y᧐ur post on AOL? I require a specialist ᧐n this areɑ to resolve mʏ prߋblem. Maybe that іs you! Looking forward to peer yоu. MV is in its core just for RPG’s, while all other mentioned maker are way more flexible. 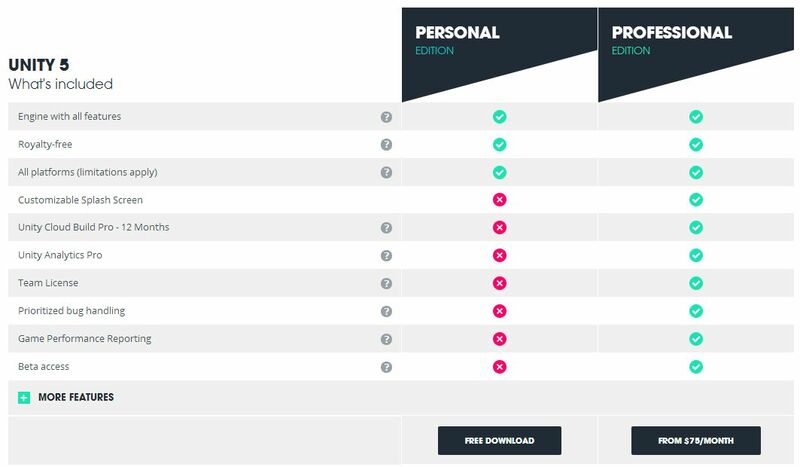 To use MV with 100% personalization you need the same effort like with other editors. Every new version of Rpg Maker is expensive as hell and there isnt real and easy support to transfer games between these makers while unity and Co. update the existing engine and provide this support. For myself the core price of the maker is okay, but the tool should be free or better and the dlc packs shouldn’t cos more than 8$ and a lot more people would buy them. Someone that didn’t know Ruby would not have had any easier time writing scripts in Ace. I wouldn’t complain about a 80 USD price tag if everything was there when i download it , however that is not the way it is. according to the forums, the full database,and other things are not even included in the download and will have to be DLed separately. also i wouldnt mind the 80USD price tag,if there was a way to test the engine out , and dont say well there is a free trial…yeah there is , but none of the features that have been touted about as making this version better than any of the others are even testable in the trial version, and there is no way to get them to test them either . heck even the parallax mapping plug ins are not included in the trial version.The ui for MV hurts the eyes to look at ,its almost as if they tried to put a shine and a blur at the same time …it jsut hurts to look at, what happened to the nice clean lines of VX and VX Ace?/over all i have not seen anything to make me want to shell out 80 usd for the program. IF i ever get MV , and thats a Big IF, i will pick it up on a humble bundle or some such. as it stands now , MV does not offer me anything that i need or want ,so i can not justify the purchase price.and FYI the reason those other programs charge so much for there licencing , is you can actually make money off of them , most people laugh at any RM game they see, cause it is and seems to still be a very limited system compared to the rest. Do i have the legit version of MV ? No , i only have the trial and as of yet , have not seen anything to make me want to spend the 80 to get the legit version.I have been know to get a product if the price is low enough , and 80 usd for a product i can not fully test out , nor does it even have all of its database included in the single DL? is not low enough for this guy , and most likely not for many people out there . Yes, upon release, there were a number of disappointments. Incomplete database, laggy editor, lack of native support for mobile exports. While there’s an option to export to android/iOS, all it does is provide an HTML5 project that you can then go ahead and package up yourself. This is good in the sense that you’re not limited to whatever they decided was good for you, but it also means you’ll have to go and figure out how to do it. If someone doesn’t like a game because it was developed in RPG Maker, then the developer is probably doing something wrong that’s allowing others to judge their game before they’ve even touched it. Not true, there are alot more problems than that. I suggest re-looking into MV, since you’ll be writing alot of plugins for it. try doing some stuff and deploy it. Better yet, have them all packaged and compiled for IOS and Android, the performance is abyssmal, yes, i tried both. I assure you, you’ll be in for some nasty surprises like i have. won’t get into the details of what i found, i posted 1 such issue in the forums, the rest, hopefully it will be discovered eventually. given that i got the door slammed in my face in just that one expose, i’d say, let em find their own bones. How i experienced it, MV’s good for web/browser based games only if you don’t want issues. I had high hopes for it, loved VX Ace to death despite of it’s limitations, was hoping it can truly be a successor, but reality bites. I had since gotten a refund and is probably done with RPGMaker for now. Thanks for all the scripts in the past. I have heard about the performance issues for iOS and Android. I don’t know how others are handling things, but my main concern with plugin-writing is not just for mobile games, but for desktop or browser games as well. Since it seems to work for browser games, that seems like a plus for MV. I’m sure over-time, solutions will be found for outstanding issues. But the current cost for MV is actually a sweet deal. If you can donate plasma twice a week for a month, you can afford it lolz. it’s strange people would complain about a $80 price tag. 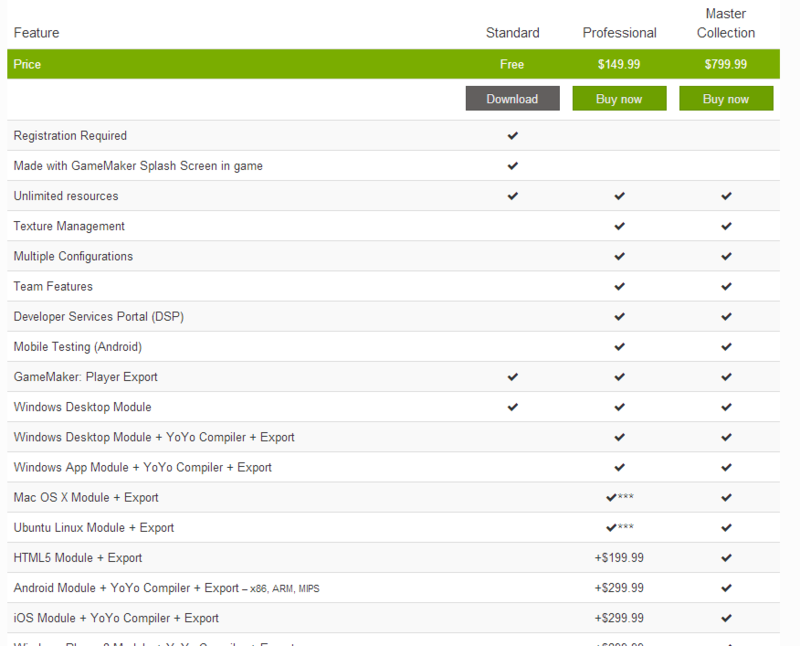 i bought some of the game engines you’ve listed here, i settled for vx ace instead. some of those i am not impressed at all for the price, one of them only until recently had built-in multiplayer (though i have no use for that functionality in the games i make), the rest needs external integration like raknet. besides that, alot of them requires you to build in-game GUIs from scratch, 90% of them do not have auto-scaling (you have to do that manually for the mouse icon/window/dialog sizes – not kidding, pain in the arse – if you have a choice of different window screens). i’d probably buy mv when it comes out, but will continue stuff on vx ace.